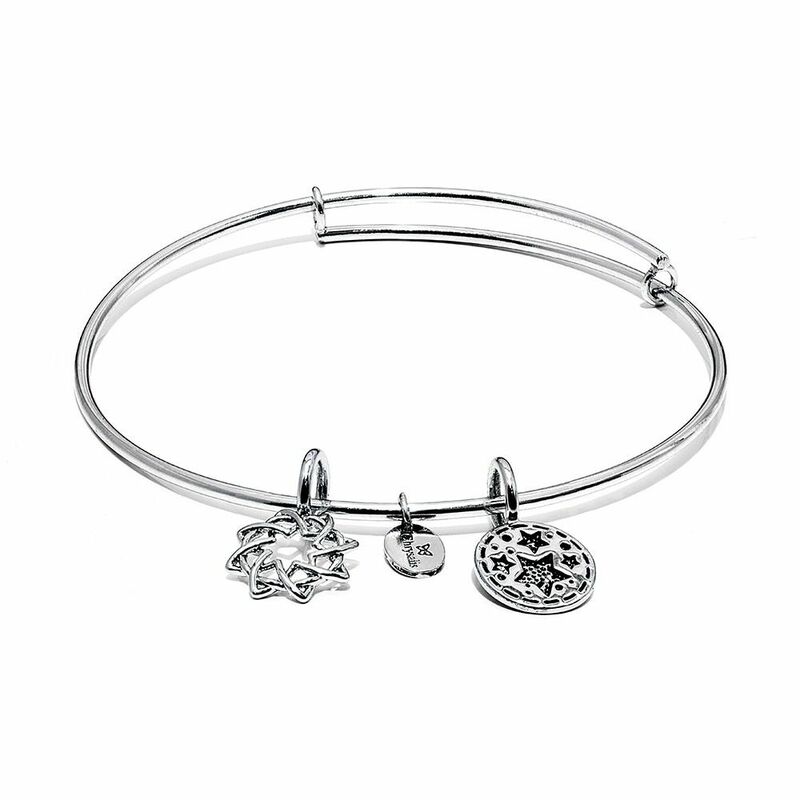 Wear your Redemption bangle and reach for the stars. By associating ourselves with the star symbol we can allow light to shine from within, encouraging positive energy to fulfil our hopes and aspirations. The star has always symbolised a balance between the gifts of life and our gift to life. Finish: Silver (Rhodium) Plate Petite = 6 to 7.5 inches Your bracelet will come packaged in a Chrysalis suedette pouch. Stack them up for maximum effect ! !